Just checking if i'm the only one with that problem. My daylight bulbs (t10 i think) burned out twice already (LED from morimotohid) and my high beam just died as well. Am i the only one who keep on changing the bulbs? I tried LED running light bulbs but the heat from the main bulbs would melt them after a few hundred miles, even the ones with a metal casing. When I changed out the stock highball build there was actually some sort of melted tar or plastic on the bulb itself leftover from burning up several of the LED's before I learned my lesson. Likewise, The LED T10 marker bulbs keep burning out. The stock halogen don't, go figure. Even my main LED headlight bulbs have died couple of times. Seems like some electrical problem when going full LED. The little stock bulbs are glass and handles high heat well. LED's, by the nature of what the components are made out, of do not handle heat well and the little bulbs are melted by the stock headlight bulb. I would hazard a guess that your LED headlights are suffering from not having enough volume of space in the light fixture to have enough air to circulate for cooling, despite LED's giving off less heat that conventional bulbs. 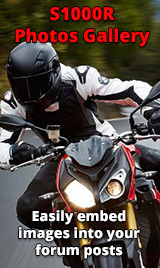 Also when compared to the spacious headlight fixtures on cars the LED bulbs in your bike are physically closer to the sides of the headlight fixture so the radiated heat is not traveling far from the bulb. I don't know crap about headlight design so that's just my guess.